A day after I had Collin I was talking to my OB/GYN doc what races he was going to do next. He is an avid running and 2 weeks prior he ran in the Tacoma City Marathon and was raving about how beautiful it was. Part of the course was running in a rain forest another part through a beautiful city. All the while staring at the beautiful mountains all around. He just said it was beautiful and wants to do it again. Anyhew, he didn't know what races to do next. I asked if he ever raced over seas. He said no and I mentioned the Dublin 1/2 coming up. I didn't know the dates that day but the next day, while still in the hospital I told him that it was in early August. He said that that fell right at the same time as his wedding anniversary and was seriously considering running in the race while they take 2 weeks and check out Ireland. He is stoked for this race now, wishing it was a full marathon but still he doesn't want to pass up on a great excuse to race and vacation at the same time. 1. Berlin Marathon- I have always wanted to visit Germany and what a great excuse to visit Germany and to actually run through it. But this is a dream for a long time from now! 2. Disney World Marathon Weekend- Ok so I have already done a WDW race and absolutely loved it, except for the small things like not enough potties (are there really enough when there is 20,000 people running?) But I remember when I was working at one of my jobs reading a Runner's World magazine and I saw the beloved MICKEY medal and I knew I wanted to do it! That was the ultimate race I wanted to run in. So someday I will earn my Mickey medal! And then some other day I will earn my Dopey medal with all the other medals that go along with it! I REALLY AM THAT DOPEY TO TRY IT! But not for many years! 3. Honolulu Marathon- Why are all these marathons so far??? Anyhew Yes, I would love to run in Hawaii. My BFF K ran this race a few years ago and said it was super hard, because even though it is in December it is still pretty dog gone hot!!! But I would love to go back to Hawaii and why not have a race part of it, I mean with all the spas they have there, imagine if you will all the MASSAGES you can get to help recovery! Oh and soaking in the ocean listening to the waves lap the shore, HEAVEN! 4. Dublin Rock 'n' Roll Half- Ok finally a 1/2! Yes, talking to my Doc about this race peaked my interest too, and We Run Disney Bloggers are running this race this year too, so I have been reading a lot about it and it sounds amazing! I have never been to Europe or that part of the world and would love to go and visit, and since I am part Irish being a ginger and all might as well visit and enjoy the amazing sites there! 5. runDisney's Castaway Cay 5k- Disney Cruise? YES, PLEASE! The next time we go on a Disney Cruise and it visits Castaway Cay I will be running in the 5k on the little island. I read about it for the first time on Through Heather's Looking Glass Blog . And was kicking myself that I had NO IDEA when I was on the ship that there was actually a 5k! 6. runDisney's Disneyland 1/2 Marathon Weekend- Yep, another Disney race but that's ok. I AM A LOVER OF DISNEY and runDisney is really what peaked my interest in running and Disneyland is closer to GMA and GPA and they have the Cars Land which Mason would LOVE! 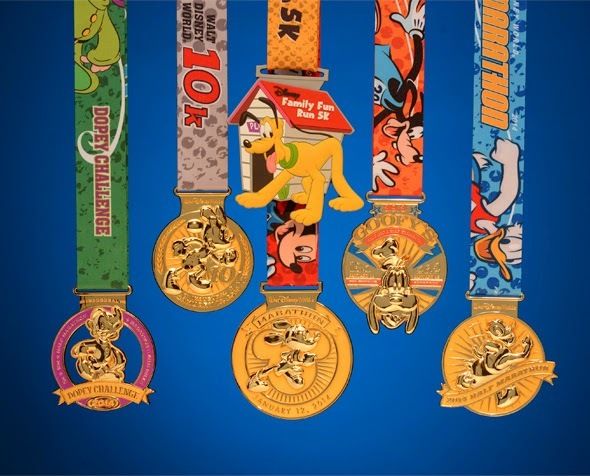 I would do the Dumbo Double Dare challenge, to get as much bling as possible and hopefully earn my coast to coast medal too! I would have to time it just right. 7. 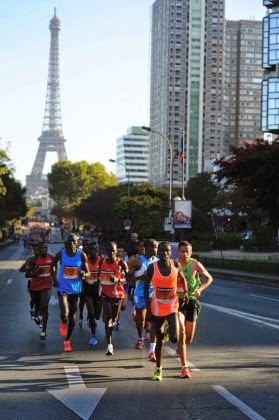 Versailles la Grande Classique- The 16k race begins at the Eiffel Tower and ends in Versailles. The course travels through Paris and along the river Seine, turns onto tree-lined boulevards and continues on winding paths all before a majestic finish in Versailles. Paris? WHY NOT! This sounds awesome and you end in Versailles sounds awesome! QOTD: Have you ever wanted to run a destination race? Which ones are you thinking about??? 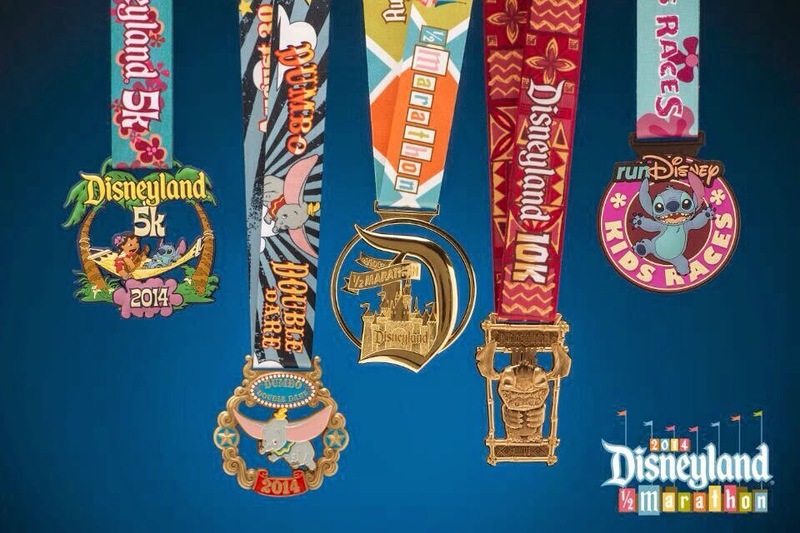 I consider a race a destination race if I have to stay at a hotel :) That said, I've run the Disneyland half once, and the WDW half twice, and I loved them! I'd like to do them again, but not sure when that'll happen. My destination race for this year is a half in the Great Smokey Mtns in Tennessee- it should be a lot more low-key than the WDW half. I love the idea of doing the Dublin Rock n'Roll or the Versailles race. We've been wanting to take the kiddos to Ireland and that would be a great excuse (though we had wanted to go a little later in the year), and I'd love to go back to Paris- I haven't been back since I was a freshman in college. I recently made some new goals for my running for the next three years, and one of those is to run an international race. I think Dublin or Versailles just moved to the top of my list of possible races. Thanks for mentioning them! A quick google shows that there's also the Dublin Half September 20- that's more in line with the time frame we want, so hopefully we can make it out there in the next couple years. The Dublin just looks so beautiful! There are so many, including trail races. I saw one in the Cheyenne Mountain State Park too! OHHH so much potential fun! Glad I could help give ideas!